We Treat Your Hive Like Our Hive! 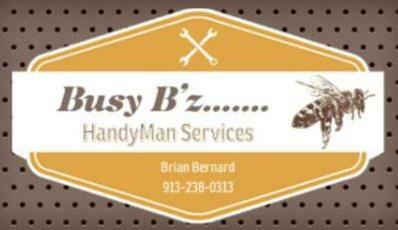 Busy B&apos;z Handyman Services, locally owned and operated, proudly serves all of Johnson County.Cities include Bonner Springs,Clearview City, De Soto, Gardner, Leawood, Lenexa, Mission, New Century, Olathe, Overland Park, Prairie Village, Shawnee, Shawnee Mission, Stilwell and more! Call Us Today at 913-738-5019 for the Next Available Appointment!